Duration of the tour will vary according to town of departure. Departure from hotel in Nice, or Cannes by motorway. Around 45 mn to 1 hour drive. This eagle’s nest medieval village perched high on its isolated promontory at more the 2200 feet high has an easy access and yet will provide the visitor with a unique atmosphere. Its surroundings are mountains and pure countryside and yet you will enjoy a view of the coastline of the French Riviera over 80 kms, from Nice to Theoule. Discover the fountain, providing the village with running water only from the 19 th century, the Romanesque church St Vincent, and the Victoria square. You can also visit the gardens of the feodal castle, designed by Le Notre, who made the Versailles gardens. Reservation number at : Tel : 04.93.09.68.02Free bus parking at the foot of the village. Return by the Gorges of the Loup River. On the way, water fall of Courmes. Stop at Pont du Loup with remainings of an old bridge distroyed during World War II. To complete your visit on a sweet note, why not visit the candy factory Florian, situated in an old mill, and enter the tradition of locally produced specialities such as candied fruit, home made chocolate, and marmelades of petal of flowers. 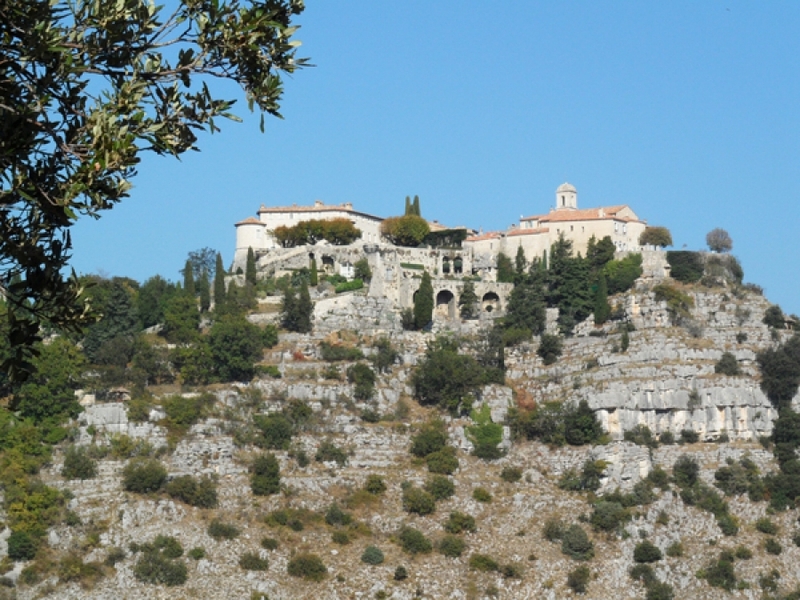 Return by the valley of the Loup Valley, which leads you to La Colle sur Loup.